When it comes to closets, most of us like to dream big. Racks for heels, hooks for ties and a never ending shelf that can carry all of our designer bags. But, in reality, the majority of us have a tiny closet that ends up holding more than just clothes. This is where closet-clutter problems begin. "Unless you have the luxury of a walk in-closet, you should only be keeping your clothes in there," says Andrew Neary, a professional organizer based in Toronto. To kick off a week of cleaning, why not start in a space most of us use -- or even avoid -- daily? 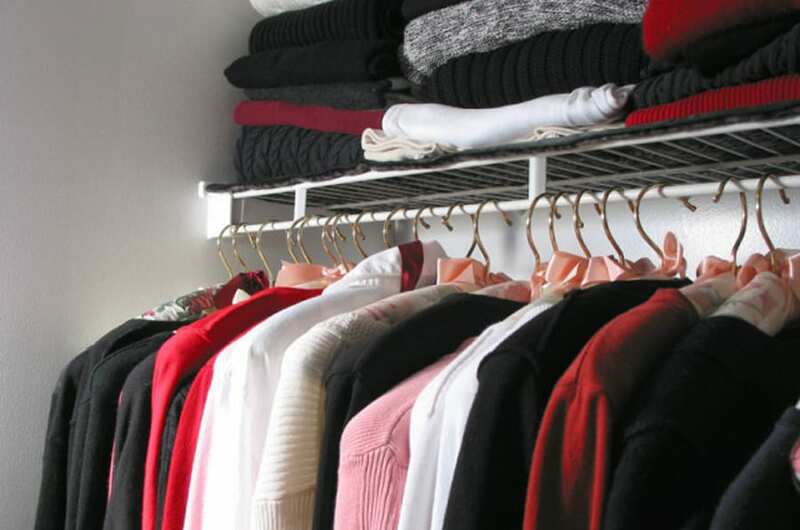 Here are Neary's 10 tips to de-clutter and organize your wardrobe space.